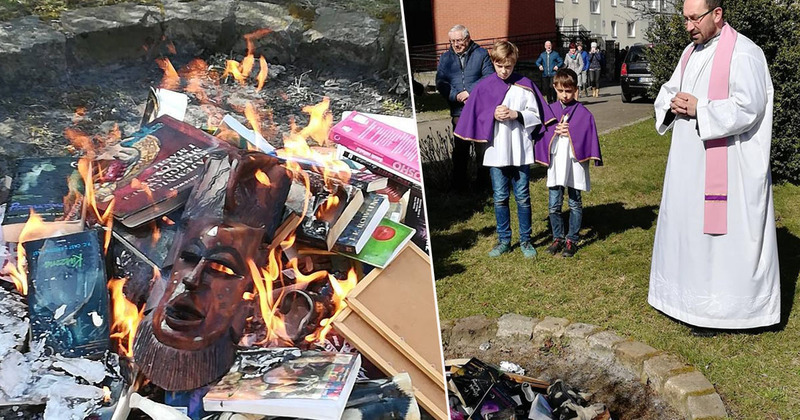 Catholic priests in Poland have burned books they consider to be sacrilegious, including one from the Harry Potter franchise. 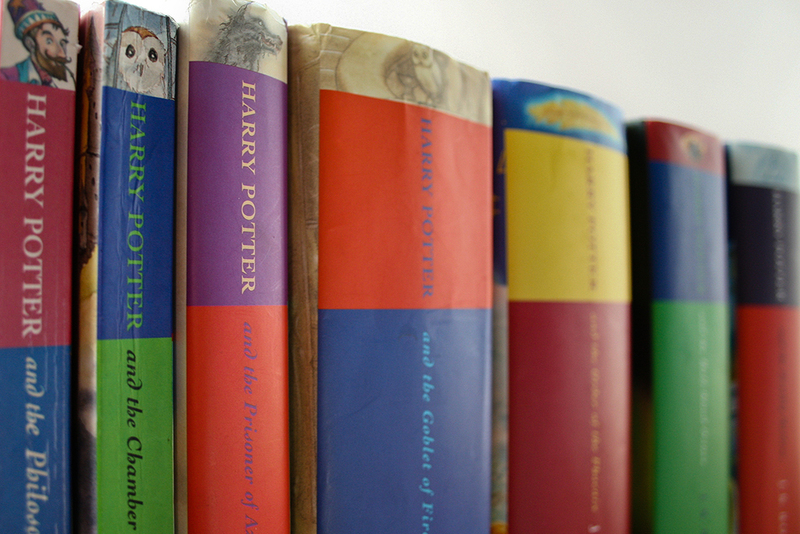 One of J.K. Rowling’s novels could be seen sitting atop of a pile of burning books in pictures posted to a religious Facebook group over the weekend. In the ceremony which took place in the northern city of Koszalin, Poland, several priests could be seen carrying a large container of books they considered to promote witchcraft towards a fire. The ceremony was photographed, with the pictures being posted to the Catholic Evangelical Foundation’s Facebook group, SMS From Heaven, shortly afterwards. As reported by the Independent, the organisation began as a service sending bible verses via text message and has been operating in Poland since 2006. The priests were pictured leaving a church with the offending books in tow, before heading towards a stone area outside and placing the books – which also included ones from the Twilight franchise – in a pile. Other household items such as a mask, several statues and a Hello Kitty umbrella were also set on fire alongside dozens of books. The group wrote alongside the photographs they ‘obey the word,’ before giving various quotes from the Bible which condemn witchcraft, magic, and astrology. All forms of divination should be rejected: refer to satan or demons, invoking of the dead or other practices with allegedly future future. Using Horoscopes, astrology, palmistry, explaining prophecy and predictions, phenomena, using medium are the desire to reign over time, over history and finally over people, and at the same time desire We have hidden the hidden power. These practices are contrary to reverence and respect – combined with loving fear – which only belong to God. The post quickly went viral, attracting thousands of likes and causing many to mock the group, making comparisons to Nazi Germany and asking whether the ceremony was some sort of joke. However, this isn’t the first time religious groups have publicly opposed the Harry Potter books, which centre around Hogwarts School of Witchcraft and Wizardry and follow Harry’s long-fought battle against the dark lord Voldemort. The books have provoked wrath from a number of religious groups, including Protestant, Catholic, and Evangelical Christians who believe the books are inspired by evil spirits and are damaging to children.